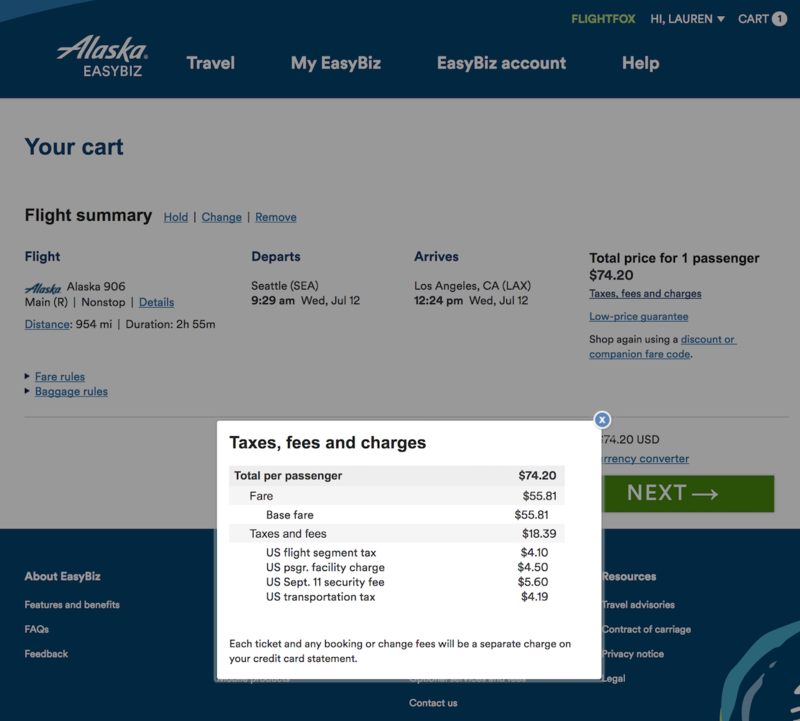 EasyBiz is a mileage plan for small businesses by Alaska Airlines. It's also a travel management tool that simplifies bookings and provides reports analyzing your company's travel data. A Guide to JetBlue Blue Inc.
EasyBiz is Alaska Airlines’ corporate travel tool and loyalty program designed for companies that spend less than $75,000 on travel a year. Companies earn rewards for booking through the EasyBiz portal and they’re also given other benefits, including 24-hour reservation holds, the ability for travelers to book with pre-saved credit cards, as well as travel reports and budgets. Firstly, you need to enroll your company by giving a few normal details like company name, address, phone number and tax ID (EIN). There are no registration or set-up costs, and you can only sign up to EasyBiz as a company, not an individual. The terms say you must have spent a minimum of $5,000 with Alaska in the last 15 months, but this is not checked or verified anywhere. You can add users to your EasyBiz account and they’ll receive an invitation email to be able to book through EasyBiz so your company earns miles as well as them earning miles personally for traveling. You can also add multiple credit cards and give different access to use these credit cards to different people. When searching for a flight on EasyBiz, you will see the same prices and options that are available on the Alaska Airlines website. There are no additional discount fares only available to EasyBiz members. One great feature of EasyBiz is that you can “hold” a reservation for 24 hours. This would come in handy if you’re booking for someone else and you want them to confirm they want a particular flight before going ahead and booking/paying for it. How do I earn Mileage Plan miles? You must use the EasyBiz portal to book. Any flights booked on the normal Alaska Airlines website or through another travel site won't earn points for your company. As a company enrolled in the EasyBiz program, you earn 1 Mileage Plan mile for every dollar spent on base fares. This is on top of the traveler earning their own Mileage Plan miles personally for traveling. Travelers earn miles based not on the price but on the actual miles flown with a minimum of 500 miles on each flight. 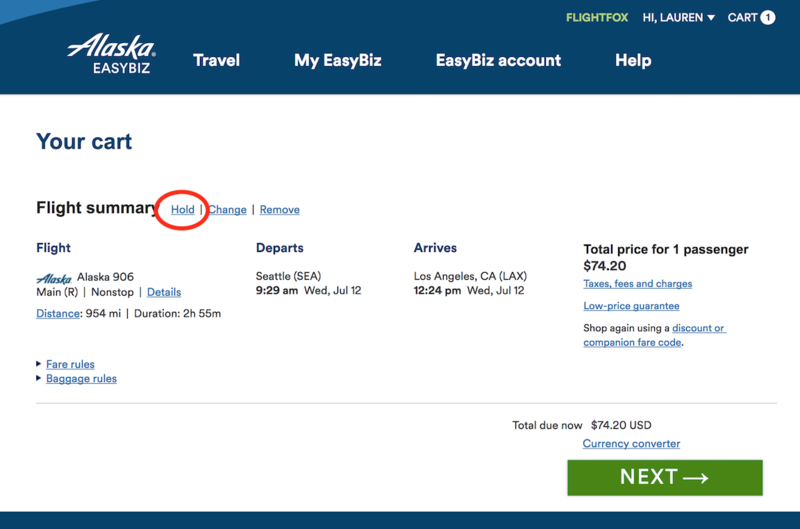 For example, a one-way flight from Seattle (SEA) at Los Angeles (LAX) in July costs $74.20 (base fare of $55.81). The physical distance is 954 miles and it’s an R fare (discounted economy). In this example, the traveler will earn 954 Mileage Plan miles and the company will earn 55 Mileage Plan miles. The company earns a measly 6% of miles in comparison to the traveler. Sure, these are essentially bonus miles for signing up to the EasyBiz program, but it could easily be considered more effort than the benefit. For the same flight in First Class, the price is $196.20 (base fare of $169.30). The traveler would earn 954 base miles + 75% more (715 miles) for booking a premium class fare = 1,669 miles, and the company would earn 169 miles = 10%. Still not a fantastic earning ability as it will take 10x longer to redeem an award flight for a company than a traveler, but it’s better than nothing. You earn company Mileage Plan points when you book for yourself via EasyBiz, and when you book for others in your company via EasyBiz or when anyone in your company books travel via EasyBiz (after you’ve invited them to use your EasyBiz account). Additionally, you can earn 3 extra miles for every flight dollar spent using an Alaska Visa Signature, Visa Business, or the MBNA Platinum MasterCard (for Canadian residents). How can I use Mileage Plan miles? Only administrators of the EasyBiz account can redeem company miles. In the EasyBiz account menu, simply click “Book Award” to start searching for award flights. It will take quite a while to earn enough miles through EasyBiz to book an award flight. For the same flight above from Seattle (SEA) to Los Angeles (LAX), the amount of miles it takes to redeem this is 7,500 miles and $5.60 taxes + fees. In this case, you would have to spend roughly $10,000, or book 136 one-way flights for roughly $75 each, to get one free flight worth $75. That’s a saving of less than 1% on your travel spend! Horrid. Alaska, and now Virgin America, you can do better. In simple terms, you’re earning extra Alaska Mileage Plan miles that you wouldn’t otherwise by enrolling and booking with the EasyBiz program. However, the return you get is hardly anything and honestly not worth the effort. The ability to hold a reservation for 24 hours is a great feature though, and if you are tasked with booking flights for others, I would sign up to the program just for this. If you’re booking a lot with Alaska Airlines and/or Virgin America (as they are merging), they also offer customized private agreements depending on your travel spend. If your travel budget is over $1 million/year, then their Corporate Preferred program is for you. You receive “substantial” savings on high-volume travel, but I don't know a hard estimate of savings, the rep said it’s different for each company. If you’re not spending that much yet, but your budget is over $75,000, then the Business Value program will be more your thing. They offer a 3% discount on the lowest available fares. To get set up in either of these programs, you need to contact Sales. No matter your travel budget, we can help you find the best rewards program for your business. We can manage all or part of your travel needs, and our focus is on saving you and your staff time and money.